Oolong tea is often referred to as Wulong or even Wuyi tea. Sometimes it is spelled Wu Long as well. Guess what? It is all the same thing. It is simply different variations on the phonetic pronunciation of the Chinese characters that make up the word for Oolong. The hype surrounding the Wuyi weight loss tea is really misleading. All Oolong teas come from the same tea plant, Camellia Sinensis, and all teas aid in weight loss to a certain extent. Do not be fooled by the hype that only a certain brand or certain manufacturer has the exclusive “magic brew” Oolong that will help you lose weight. Oolong is oolong – just choose the flavor you like. The production of Oolong tea requires that the leaves be processed directly after picking. The leaves are wilted in the sun and then shaken in a basket to bruise the leaves. The juices are exposed to the air and then they are allowed to dry. After about 2 hours, the tea is fired, which arrests the fermentation process. 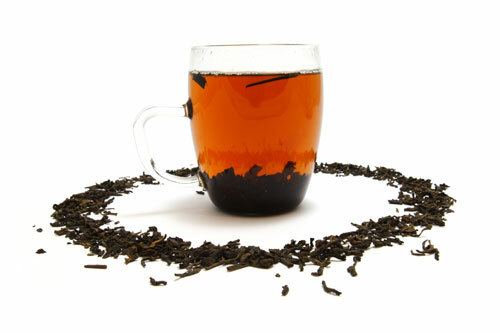 This results in a semi-oxidized tea that is loaded with antioxidants and flavor. Oolongs teas are best enjoyed when the leaves are briefly infused with hot water which is then poured off. The tea is then reinfused and tea is poured to the lucky guests after about 1 minute. The leaves may be reinfused several times, with each resulting infusion yielding a different liquor from the proceeding cup. It is common to brew the same leaves three to five times, the third or fourth steeping usually being the best.